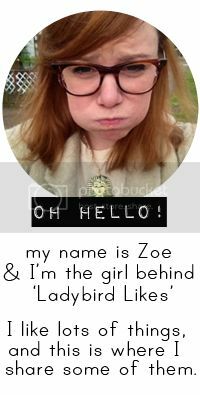 my name is Zoe Jade, I am almost 27 years old, and I live in West London with my parents, my two sisters, and my dog Jasper. I have a degree in Creative Writing, as well as diplomas in Photojournalism, Beginner's Japanese, Visual Thinking, and Professional Photographic Practice. (what can I say, I love learning!) but really my heart lies in making things and being creative. I started the Ladybird Likes blog back in 2010 after breaking up with my long-term boyfriend. it was a tough time in my life, and blogging gave me a purpose and helped me to meet new, like-minded people. since then Ladybird Likes has grown massively, and is now a full blown business which I run full-time, making and selling wooden laser cut jewellery! I still try to blog as much as possible, as this is where it all began for me. 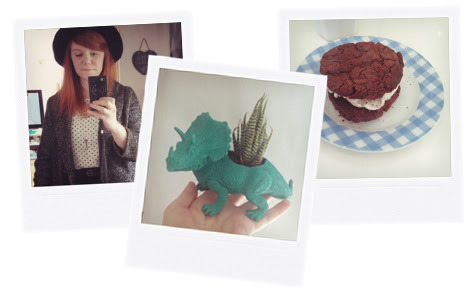 on my blog you will find little snippets of all the things I like, from horror movies to recipes, and nail art to business tips. if you'd like to know more about how it all began then please check out www.ladybirdlikes.com and click the 'our story' tab for the full inside scoop on all things Ladybird Likes.